(TibetanReview.net, May26, 2015) – A police officer was detained and dismissed from his post in Tianjun (Tibetan: Themchen) County of Haixi (Tsunob) Prefecture, Qinghai Province, on suspicion that he was involved in poaching endangered wild lives, reported China’s official Xinhua news agency May 25. Tibetans across the Tibetan Plateau have long complained about army and police officers hunting endangered wild lives, but the crime has continued with impunity. What made the difference this time appears to be that the crime was reported in online posts which spread on China’s twitter-like Sina Weibo since May 22. 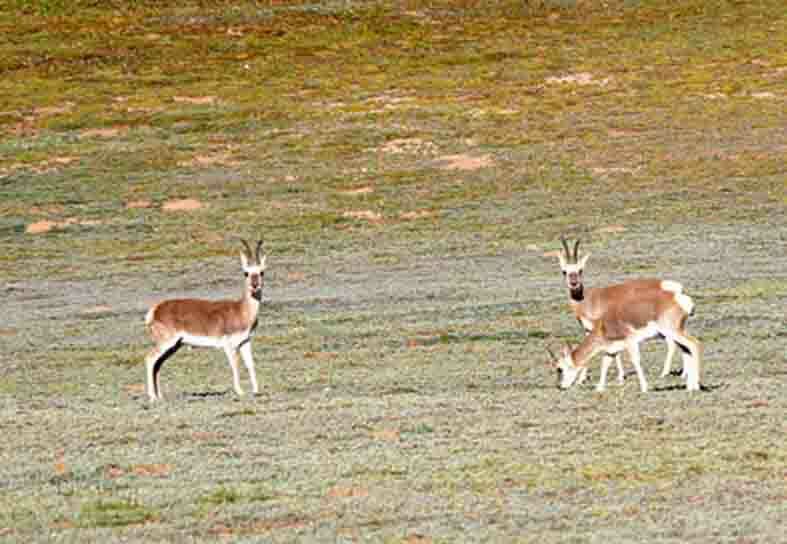 The report cited the posts as saying police officers in Longmen Township were killing endangered animals that included Mongolian gazelle, wild horses and tercels. The report did not name the detained officer. It only described him as the head of the Longmen Township Police Station. It said online photos showed bodies of Przewalski’s gazelle, a rare species only found in Chinese ruled Tibet, as well as unskinned and dismembered animals were stored in the police station, revealing the brazenness with which the crime goes on.